Posted on Tuesday, December 4th, 2018 at 9:22 am in Alcohol Addiction. Drinking alcohol is one of the world’s favourite pastimes, and with good reason. Drinking alcohol is ingrained as a cultural activity, as it has been for thousands of years. Even in ancient Egypt, drinking alcohol was a common activity during social calls. Even in many religions scriptures alcohol plays a big part. Alcohol has a few benefits if consumed responsibly – it helps during social situations as it can help you become less nervous and introverted – which leads to more open conversations. It also helps you feel better due to chemicals that are released in your brain after drinking. Dopamine is the “feel-good” chemical in your brain that allows you to feel good. But that is the only good thing about alcohol use – this is not a case where the benefits outweigh the risks. Alcohol abuse kills ten thousands of people worldwide – and to add to that, if you are addicted it becomes notoriously hard to stop. Are you currently feeling you might be addicted? It is not too late to stop. You too can become sober – and there are a variety of ways to stop drinking alcohol. We have written a guide on how to stop drinking alcohol based on your type of situation. Do you feel like you have been drinking alcohol in high volumes and often as well? In that case, you might feel you have been making bad decisions whilst under the influence of alcohol. This might be an indication of a developing alcohol addiction, and it is time to stop. At this point, you might not be physically addicted yet to alcohol, and you might be able to stop drinking without any outside help. Step 1 – Let family and friends know you intend to stop. Making your intentions clear with your friends, family and significant others could help you get into less situations where you might feel the urge to drink. You’ll feel less pressure to join in situations where alcohol consumption will happen. Step 2 – Give up cold turkey. As you might not be addicted to alcohol yet, it is best that you just quit cold turkey instead of gradually tapering down. The reason for this is that you are not going to suffer from sever withdrawal symptoms during your initial retreat. It can be quite difficult at times to keep yourself motivated to stop drinking. One of the things you can do to keep yourself motivated is by setting regular goals. Having an alcohol free week, an alcohol free month, an alcohol free quarter – it helps you to stay motived. To add to that, not drinking will save you a lot of money. Why not spend that money as a reward for not drinking alcohol? If you drank the maximum amount of alcohol according to the guidelines for drinking – That is 10 beers per week in the pub – which is more than £35 you save each month! If you have been binge-drinking for a long time, this could lead to you saving even more money! There are people who struggle to grasp the idea of a day without a drink. If you have been doing this for a long period of time, it might mean that you suffer from a severe addiction. The option to quit drinking immediately therefore is not possible. For severe addicts, withdrawal symptoms might be real and potentially be able to leave lasting damage. This is the later stage of addiction, where your body gets used to the alcohol. As your body adjusts itself to a high blood alcohol concentration, the need for more increases. This could lead to physical complications, ranging from severe mental illnesses, to cancer. 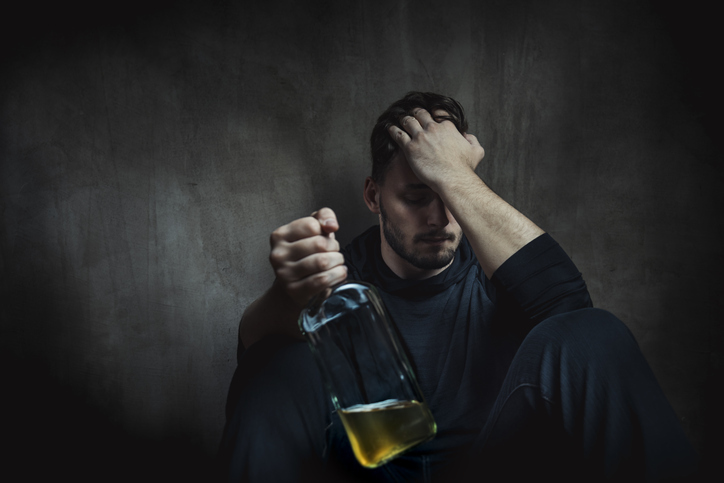 The ‘shakes’ is one of the most documented and well-known alcohol withdrawal symptoms, a lot of alcohol addicts come across. After a period of heavy and prolonged drinking, one might start experiencing body tremors. Alcoholism and alcohol abuse cause tremors in diverse ways. In many cases, shaking from alcohol withdrawal is a physiologic tremor, which disappears after you complete the withdrawal process. Extreme emotions can increase physiologic tremors, so if you are anxious about withdrawal and detox, the trembling might be stronger. It is therefore better you join a rehab centre like Cassiobury Court. We have round the clock medical care for you to make sure the withdrawal period will be easier to deal with. Why not give us a call today on 01923 369 161?